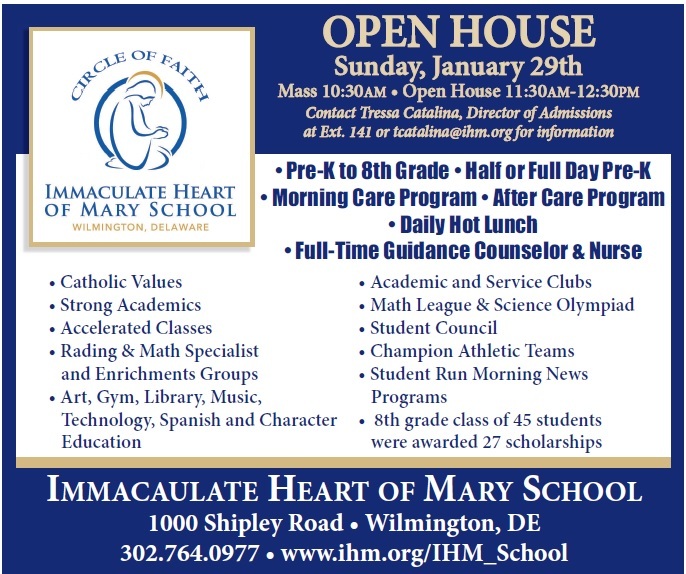 Immaculate Heart of Mary is a Roman Catholic Pre-K through 8th grade elementary school serving the spiritual and educational needs of our parish families. Our school was opened to the parish community in 1957 by the Sisters of Saint Joseph. Today, we continue the mission that began nearly 50 years ago: to educate the whole child in a spiritual and academic environment. We provide a Christ-centered Catholic education that achieves academic excellence by challenging students to learn and teachers to innovate within a comprehensive program that fosters faith formation, social growth, and service to others. 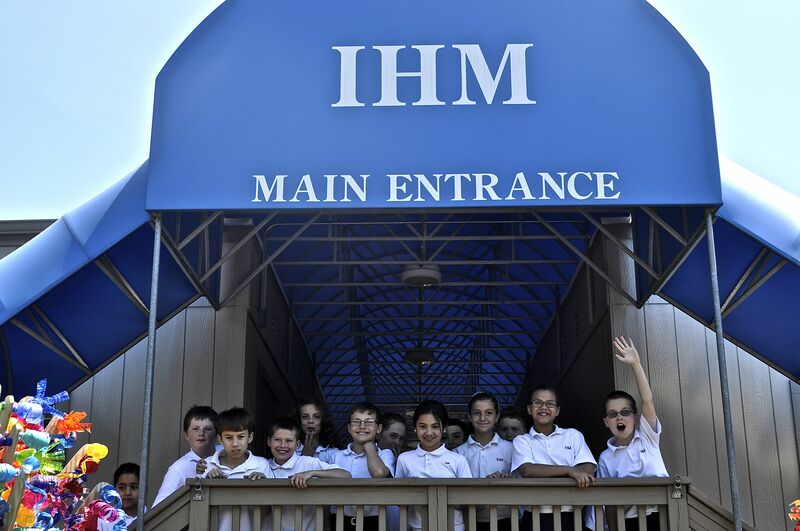 IHM has two classrooms in every grade from Pre-Kindergarten through 8th grade, with a teacher and full-time aides in Pre-Kindergarten through 3rd grades and a floating aide in 4th through 8th grades. We have approximately 500 children enrolled in our school program, of that number there are over 300 families. Our classes generally cap out at 30 students per grade classroom (20 students per class in Pre-Kindergarten). The application process begins in November the year before your child will enter Pre-Kindergarten or Kindergarten. The State of Delaware, and IHM require children to be five years old before September 1st to enroll in Kindergarten; and our Pre-Kindergarten program is designed for children who will be four years old before September 1st. Our application process concludes in February when admissions letters will be mailed to all applicants. Immaculate Heart of Mary School (IHM) follows Diocesan guidelines to determine the order of acceptance of students. This policy applies for Pre-Kindergarten through eighth grade applicants. Please view the Online Admissions process document below. Complete the online registration application through the link below. Once the student is accepted and their seat is confirmed, you will receive an acceptance letter. There is a non-refundable $200 seat reservation fee requirement per accepted student. This $200 fee will be applied to the first tuition payment due in July.